Receiving a file after a long wait, only to find it’s corrupt can be very frustrating. A corrupt file is a file which has been altered during the transfer in such a way that it can no longer be opened by a supporting program. This is a very common case with Microsoft Office files. If you try to open these corrupt files in Microsoft Office, it refuses to open them and shows information about the corrupt and damaged files. Perhaps this is why Microsoft has decided to add an option to repair or fix the corrupted office files. This way you can salvage whatever data is still remaining in the damaged files and rebuild it into a new file. Open a Microsoft Office application from the Start Menu. If you want to fix Word file, then open Microsoft Word; if you want to repair Excel file, then open Microsoft Excel, etc. In the Microsoft Office window, click on the circular Office button at the top-left corner and select Open from the menu. When the Open File dialog is opened, select the file you want to repair, then click on the downward arrow next to the Open button and select Open and Repair… from the drop-down list. Microsoft Office will show you options to repair the file or extract data from the file. If this is the first time you are trying to repair the file, then click on the Repair button. If you have tried to repair the file before without success, then you should choose Extract Data. Office will attempt to repair the file and open it. Once the file is opened, you can save it with a different name by clicking on the Office button and choosing Save As. 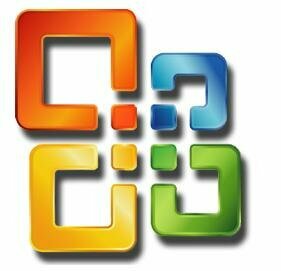 The file repair feature is available only in Microsoft Office versions 2007, 2010 and 2013. There is no guarantee that a corrupt file will be successfully recovered as the file recovery entirely depends on the level of damage that the file has undergone. If there is little or no data inside a corrupt file, then you cannot possibly repair it using any of these methods. Rather inept to fail to record which Office versions may be so repaired: Office 2000, 2003, 2007, 2010 ??? Bit wrong, the option IS there in 2003 (professional at least), been using it for years.